Low-Volume and Prototype Custom Plastic Injection Insert Molding. Shipping Parts Daily to your Door. 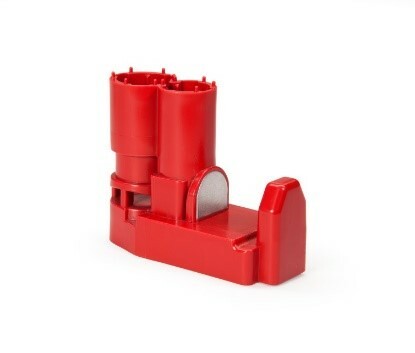 Did you know you can insert mold plastic parts? This process is called over molding and it lends itself when you need two or more different materials in the same part. Furthermore, Xcentric Mold & Engineering is one of the few injection molding companies that offer over molding and insert molding services. The part below was created using a custom metal insert supplied by our customer. Because of our skilled mold design engineers we were able to mechanically place the insert into the mold and inject the plastic around it. Let us quote your next project. We are sure to take the headache out of your next Insert or overmolding project, as we know these projects can be very complicated. In addition, we have Insert and overmolded parts with over 37 inserts in one part. At Xcentric, there is not an Insert or overmolding project we will not tackle.